Have you seen this truck?! 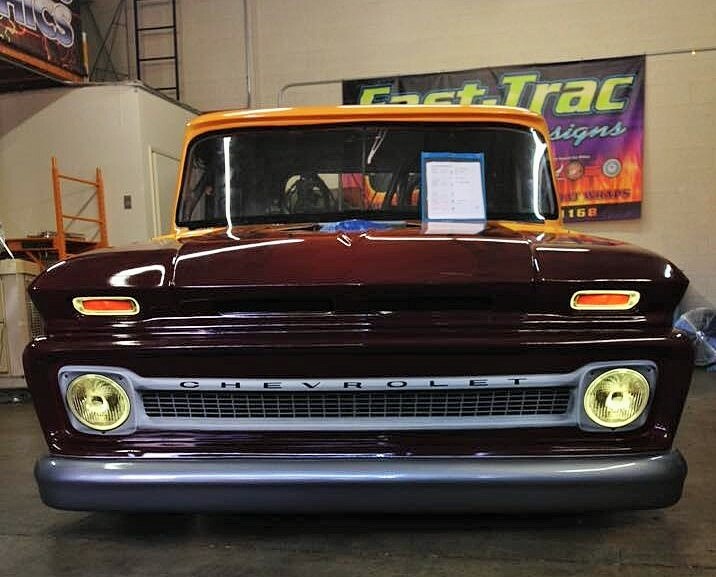 This 1965 Chevy modified fiberglass race truck has caught attention nationwide. The new build was brought to us at Fast-Trac Designs to receive a custom designed vehicle wrap that would portray speed and show off the Redneck Racing logo. 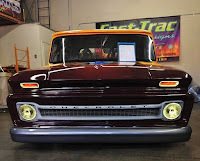 The graphic artist for this project had quite the vision and even hand drew the grill and headlights which were wrapped to appear reflective and take on a realistic look of headlights. Along the sides and on the front of the truck are flames with very attentive details such as the logo and lightning which are also shadowed throughout the remaining length of the vehicle. The full coverage wrap went through design, print and installation processes here at Fast-Trac Designs. We only use top of the line material available by 3M for all of our wraps, this project was printed on 3M IJ180-CV3 Contoltac with 8518 laminate. We used the HP Latex 360 printer which is rated to be among the best printers in the industry. The estimated time to finish the wrap installation was 16 hours, however this vehicle is not complete. It is a new build and is still being modified before its first race in Arizona. The goal is to obtain about 3,000 horsepower and be the fastest race truck in the world. 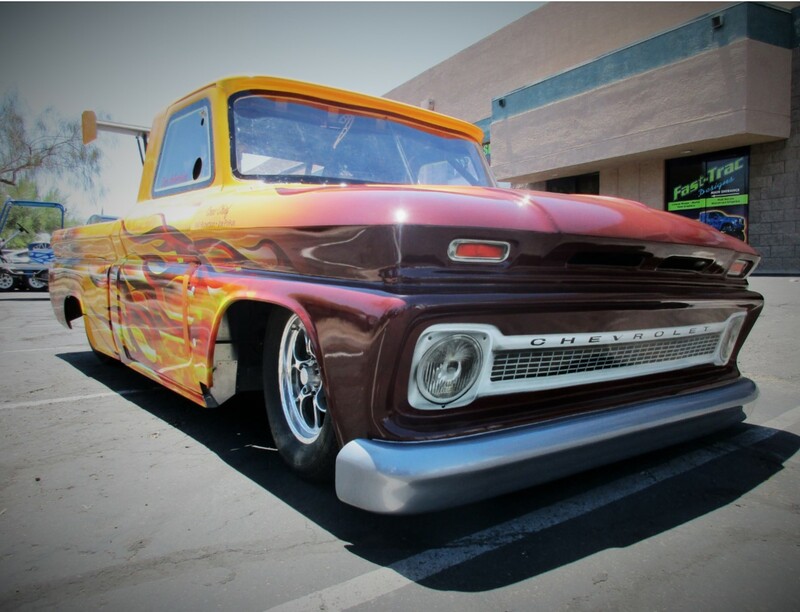 This will take a special licensed driver once completed and if you have the chance to see a race pay close attention because you will not want to miss this truck. The dentist can be scary for anyone however children going for the first time will take a lot more comforting through such a process. Recently at Fast-Trac Designs we had the chance to help a pediatric dental office find another way to show that they are a caring and child friendly facility. 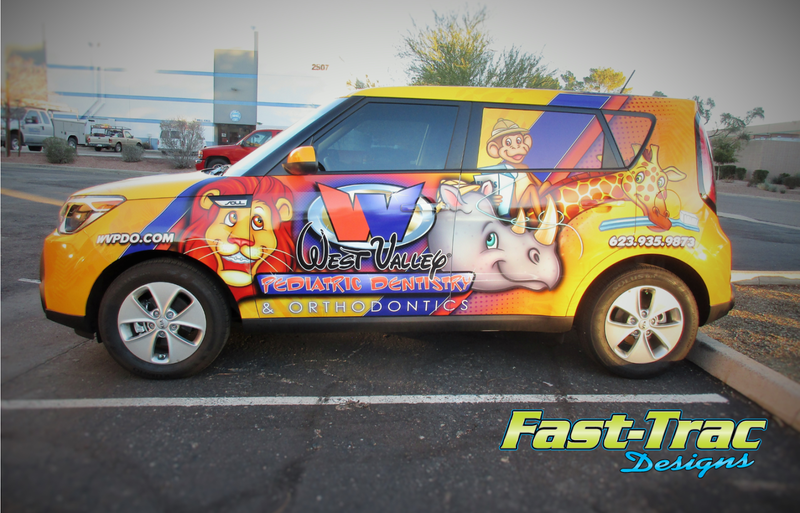 We incorporated the safari animal theme of West Valley Pediatric Dentistry onto two company vehicles. Our design team adjusted the art to fit the body styles of each vehicle so that the animals featured in the art would stand out along with the offices contact information. The vehicle wraps extend the theme of the office featuring fun and happy animals with a toothbrush and floss and when in the office children can watch their favorite movies comfortably while the doctor cares for their teeth. We highly recommend West Valley Pediatric Dentistry and urge you to visit their website and view the photos below of their vehicle fleet.